TVS Motor President (Marketing) H S Goindi indicated that the company might launch its first above 200cc bike in India. The company already had 180cc bike in India in the form of TVS Apache RTR 180. Mr Goindi also indicated to launch another 125cc bike in India as per market requirements. Nevertheless, he did not mentioned the name and other details of the bikes to be launched. TVS Motor is already having a 125cc bike, TVS Flame, in its portfolio. TVS Motor has recently launched TVS Jive and TVS Wego in India to boost its sales of two-wheelers. Mr Goindi told reporters that the company aims to get double digital growth in the two-wheeler market in the financial year. 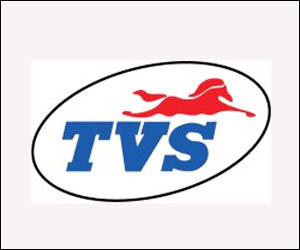 TVS Motor had sold 11,36,344 units of its two-wheeler's in India in 2008-09, as per Society of Indian Automobile Manufacturers. Mr Goindi added that the company intends to launch new variants in 2010 and a new bike model as well. However, he denied to increase prices of the yet-to-launch new variants of the two-wheelers. Meanwhile, Bajaj Auto has already launched Bajaj Pulsar 135 to compete with TVS Apache brand in India.